Sgt. 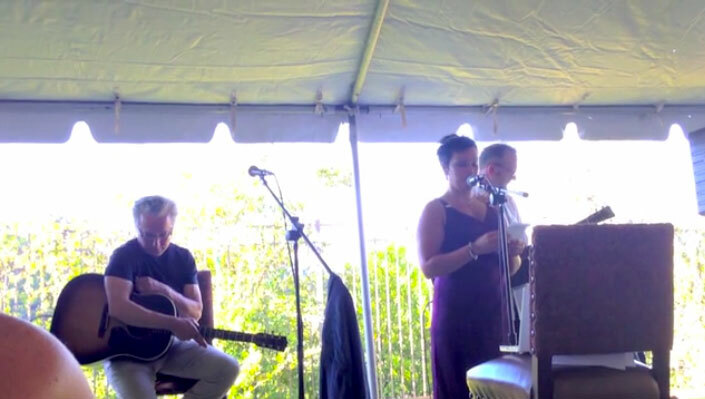 Nikki Shaw shared these moving words as she introduced Half-Horse Town at our September SongwritingWith:Soldiers fundraiser, a song she co-wrote at a retreat with Darden Smith and Radney Foster. We want to share this video of Nikki’s speech because, in truth, her tribute belongs to all of you who have supported our efforts. With your help, SongwritingWith:Soldiers is standing today, looking back at a remarkable first year devoted to our military men and women — and the power of creative expression. You have our deepest gratitude. Have a Happy New Year, full of joy and music and new songs by soldiers! Stay tuned for some new stories from our workshops — participants talking about their own strengths and the strengths of each other! (Like gratitude, kindness, humor… 🙂 Inspiring! ← A Gift of Strengths for You!